Recently, my editors used the term “the hearing impaired” in a headline, to refer to people with hearing loss. As soon as I saw it, I knew there would be protests. 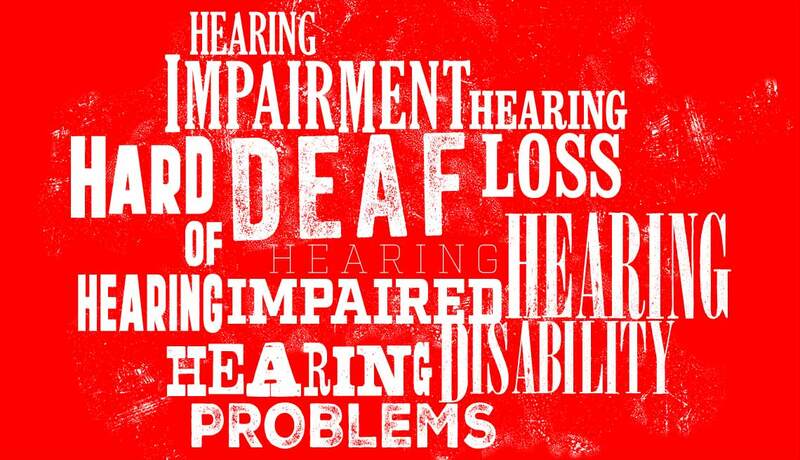 The debate over what exactly to call people with hearing problems has raged for years. The emails we received from those unhappy with the headline touched on this and other points. “Contrary to the definition, I believe that I am both whole and unable to hear,” she wrote in an email. Several AARP readers with hearing loss had similar comments: “If I tell people that I am hearing impaired, they think something is wrong with me. However, if I tell people I am deaf, they say nothing is wrong with me except that I can’t hear,” wrote one. On the other hand, many hearing-health professionals blithely and frequently use the term “hearing impaired.” And people with vision loss routinely use the term “vision impaired.” Go figure. So what exactly do we call ourselves? However, a number of national organizations have chosen to shift away from using hearing loss altogether in favor of more positive language. The Hearing Association of New Zealand began as the League for Hard of Hearing. Better Hearing Australia avoids any suggestion of disability. Britain’s Royal National Institute for Deaf People (RNID), founded in 1911, changed its name 100 years later to Action on Hearing Loss. Several hearing associations, including the Canadian Hard of Hearing Association (CHHA) and the International Federation of Hard of Hearing People (IFHOH), use this term. The Hearing Loss Association of America was originally called Self Help for Hard of Hearing People, or SHHH. These days “hard of hearing” sounds old-fashioned. I often use this in casual conversation, but not in my writing, because in fact I am profoundly deaf in one ear and have limited hearing in the other. As I said in my book, Shouting Won’t Help, the term “deaf” is politically incorrect for someone like me, but I still like to use it. It’s blunt and sassy. It’s a way to talk back to my hearing loss. “People with disabilities” is the preferred term because it refers to people as people, not as their disability. But even some advocacy organizations use “disabled.” The newspaper Able describes itself as a newspaper “positively for, by and about the Disabled.” Disabled American Veterans has held onto its name despite the turn in fashion. But consider that the act that protects people with disabilities is called the Americans With Disabilities Act, not the Disabled Americans Act. The point, advises the disability advocacy group Mobility International USA, is to “put people first.” The group urges using positive language that avoids referring to people with disabilities as “the disabled, the blind, the epileptics, a quadriplegic,” etc. “It is fine to say ‘person with a disability,’ but terms like ‘challenged’ and ‘the disabled’ have fallen out of favor.” When in doubt about what term to use, ask. In other words, people with disabilities, including hearing loss, want to be recognized because they want equal access, but that doesn’t mean they want to be defined by their disability. When thinking about the language of disability, keep those principles in mind. This article first appeared on AARP Health on July 11, 2016. ← Relief from the High Cost of Hearing Aids? I try to get the point across as quickly as I can. I am not completely deaf, but why would I want to say all those other words?!? I tell people I’m deaf, can’t hear well – whatever fits the moment. Trying to get some communication going, not shutting it down with lots of words to confuse the situation. Whatever works in casual conversation. But in more formal situations terminology can get tricky, and it’s easy to offend — this is true of all disabilities, minority statuses, ethnicities, age, etc. people make more of an effort to communicate with me. Some variation of “I don’t hear well and need to read your lips” works well for me in that it gets speakers to slow down and look at me. I’m not a fan of the term “hard of hearing” because, as you point out, it sounds old fashioned and implies that hearing loss is mostly associated with old age. I can understand why people who were born deaf or partially deaf might object to the terms “hearing impairment” and ” hearing loss”, but for me, it truly is a loss that I deal with every day in the best way I can. I tell people “I don’t hear well” when I’m in a situation where disclosure makes sense. I don’t mind the term hard of hearing, but the reality is I am deaf, but not Deaf. I have a cochlear implant and a hearing aid that keep me in the hearing world. Katherine, when I did my graduate thesis, it took 3 full pages to explain the crazies of terminology so it all made sense relative to my research question “Do marriage and family therapists understand the implications of hearing loss in relationships?” Incidentally, the research emphatically identified a resounding “No” answer. And that was with a 69% response rate of all licensed MFTs in Wisconsin. At one time I tried using the term ‘partially deaf’, but people didn’t like that either. And of course, there are those who identify as ‘late deafened’, which also requires explanation. Personhood is the key factor for most of us; those who do not wish to be defined by a disability or condition. Therefore people with hearing loss works as does hard of hearing people or even hearing impaired people, which has never bothered me because my hearing is impaired or faulty. The bad word is ‘the’ when it precedes the condition or disability. People of Deaf Culture consider their deafness a difference rather than a disability. That’s also confusing. A further problem is created when the Deaf (culturally) population uses the term ‘Deaf and hearing impaired’ in an inclusive effort to cover all the bases in advocacy. It’s no wonder a literature review of publications available in scientific research on hearing loss gets confusing and distorted. Prior to SHHH/HLAA it all referred to everyone as deaf. 🙂 Sorry so wordy, but this topic is definitely one that hits a hot button. Nice article! Thank you! I agree that we might do a lot better in advocacy efforts if we knew what to call ourselves. So many people don’t know the difference between Deaf, deaf, hard of hearing, etc. I use all sorts of terms to alert people to the fact that I can’t hear. It depends on the circumstances. But I do start almost every conversation with the information that I don’t hear well — with taxi drivers, store clerks, telemarketers (before I hang up on them), friends I haven’t seen in a while. I tell people I’m deaf, but I can hear your voice with my hearing aids, but I have to read your lips to understand what you are saying. Simple, quick and explains everything. Yes, excellent advice. We must always tell people they have to look at us when they speak.